How can conserving biodiversity help reduce poverty? Jami Dixon, an interdisciplinary researcher at LTS international, explains. Today is International Day for Biological Diversity 2015. This year’s theme, ‘Biodiversity for Sustainable Development’, reflects a broader shift in thinking about biodiversity (the variety of life on earth) and human development as interconnected issues. Historically, such issues have often been tackled separately, leading to trade-offs between economic, social, and environmental concerns. But the world’s poor, particularly in rural areas, depend on biological resources for many of their basic needs, including clean water, food, fuel, medicine, shelter and transportation. Sometimes efforts to conserve biodiversity have excluded and displaced local communities, denying them access to land and other resources, and therefore undermining poverty reduction efforts. These kinds of examples justify the need for thinking about the links between poverty and biodiversity. Reducing poverty (‘poverty’ often defined as a lack of well-being) isn’t just about providing a source of income, but also includes issues such as health, governance, gender and strengthening people’s capacity to act. Efforts to conserve biodiversity are increasingly tackling such issues too, for example by building capacity through education and training, changing governance structures, and developing financing mechanisms to ensure the equitable distribution of biodiversity costs and benefits. I’m currently grappling with the complexities of these interlinkages in a review of the Darwin Initiative that I’m leading on. The Darwin Initiative is a practical example of a programme trying to support both biodiversity and sustainable development. Launched in 1992 to align with the Convention on Biological Diversity, the Darwin Initiative was solely funded by the Department for Environment and Rural Affairs (DEFRA) until 2010. It is now jointly funded by DEFRA, the Department for International Development, and the Foreign and Commonwealth Office, with poverty alleviation as an explicit objective. Measuring impact is very high on funders’ agendas at the moment. Partly because it was included in the Research Excellence Framework (2014), which recently assessed the quality of research in UK higher education institutions. But more importantly for development, it provides a way of understanding the difference international aid makes to people’s lives and helps to ensure the best results possible are obtained from the money spent. However, achieving and measuring impacts on biodiversity and poverty alleviation within the average project timeframe of three years is challenging. That said, one of the questions that keeps coming up is, yes, poverty and biodiversity are interconnected, but is addressing them simultaneously the most effective approach? Yes, poverty and biodiversity are interconnected, but is addressing them simultaneously the most effective approach? At this stage, the evidence from the Darwin Initiative review isn’t finalised, making it difficult to directly quantify and measure ‘what works’. However, it is clear that Darwin Initiative projects use a range of different approaches to contribute to biodiversity and poverty. Some focus on poverty reduction as a means to promote biodiversity, such as the Royal Society for the Protection of Birds’ work in and around the Gola rainforest in Sierra Leone. While others focus on biodiversity benefits for poverty reduction, for example Royal Botanic Gardens, Kew’s project on organic pesticides in Mali. Increasingly projects are integrating approaches to achieve dual objectives, for example, one project in Uganda has demonstrated that building capacity for local communities to conserve forest resources can have biodiversity benefits and local economic and social benefits both in the short and longer term. Unfortunately it’s not clear which approaches are effective and under what conditions, and the wider literature also offers little evidence; highlighting that we’ve got lots more to learn. There is an argument that issues of poverty and biodiversity should be tackled separately as they require different approaches and areas of expertise. However, this tends to result in significant trade-offs, with environmental concerns marginalised or excluded. Some feel the best approach is to be aware of these potential trade-offs and find compromises so that the process of achieving multiple objectives can be transparent and balanced. It’s also important not to discount the potential for synergies in addressing both issues simultaneously. 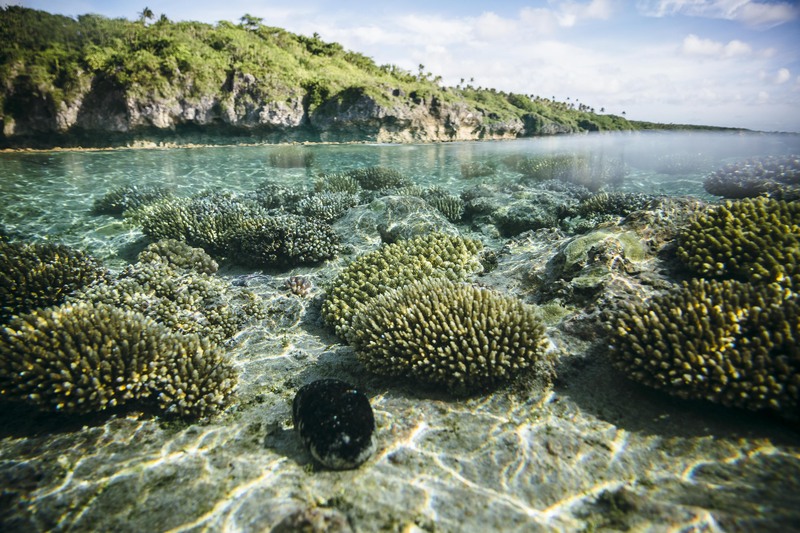 The Darwin Initiative is funding a number of projects exploring the potential for these ‘win-wins’ (for example ZSL’s work with communities on livelihoods and coastal protection in the Philippines and Mozambique). Harnessing the potential for these ’win-win’ situations is both a challenge and opportunity for achieving sustainable development. The results of the Darwin Initiative review will be coming out in the next few months and will hopefully provide insights into how we can measure the linkages between biodiversity and poverty, and provide examples of when it has been possible to achieve benefits to both. Jami Dixon is an interdisciplinary researcher interested in using problem-oriented approaches to understanding and addressing current sustainability challenges. She is currently working for LTS International leading a poverty thematic review of the Darwin Initiative. This cross-Council call aims to significantly improve our understanding of the complex interactions between people and the environment required to make progress in achieving the United Nations Global Goals.